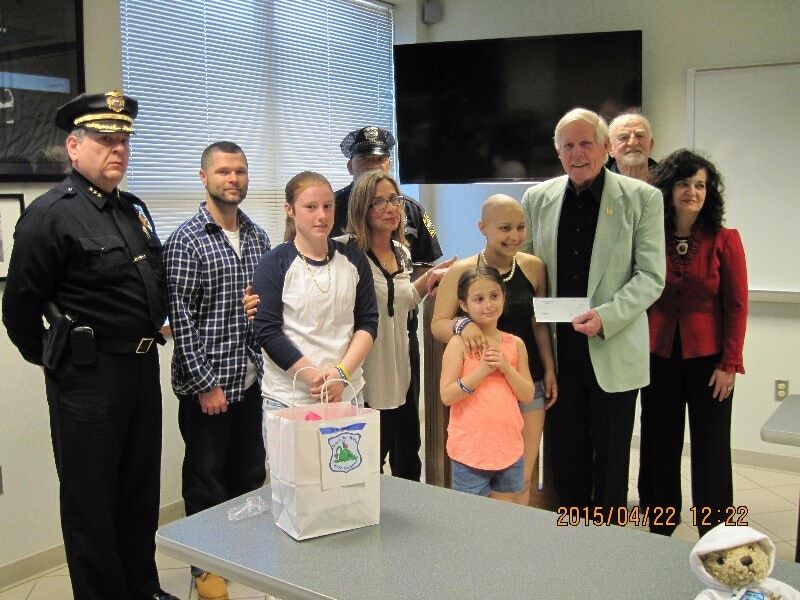 On April 22, 2015, Cops For Kids With Cancer went to the Fall River Police Department and made a $5,000.00 donation to the family of Jenelle Camara, a 17 year old girl from Fall River who has Ewing Sarcoma. In photo left to right. Deputy Chief Charles Cullen, Father Joshua, Sister Janela, Mother Laura, Jenelle, Sister Leigha. Bob faherty,. and Palmira Aguiae. Back row Officer Jason Stanley and john McManus, CFKWC. Bd. Dir..